In 2015, I found myself becoming a very independent smart-watch reviewer. Due to some lucky conditions, I ended up with a free LG Watch Urbane. It was very snazzy, but I just didn't get the point of smartwatches. One day in 2016, I forgot to put it on. From then on I realized that smartwatches were just a fad (for me at least), and this was a device I could experiment with. How can I experiment with a smartwatch? Having tried (and failed) to run Ubuntu on another device (nexus 9), the obvious answer was to install GNU/Linux on it! 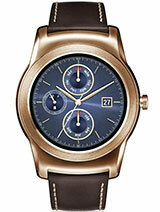 It is an amazing piece of hardware with a stunning circular touch screen. Since I know how to write apps for GNU/Linux (it even runs a web browser! ), I was excited by the possibilities. The contributors to Asteroid OS have done an amazing job with the install process. If you know how to install Cyanogen (or whatever it is these days), you can install Asteroid OS. You just use fastboot and adb, like a regular Android phone. The Asteroid OS image is a whopping 414 Mb. How massive! That lead me on a slight distraction. How does my tiny, cool-running little smartwatch compare older computers? Maybe the original iPhone? Wow! More CPU and RAM than the original iPhone, almost as many pixels and just as much storage; all in a much smaller case. It's pretty crazy that the watch has any battery life - let alone a good days worth! Systemd on my servers, laptop and watch??? It looks like a watch, it smells like a watch, but it runs like a normal computer. Wayland, systemd, polkit, dbus and friends look very friendly to hacking. Even Qt is better than android, but that's debatable.